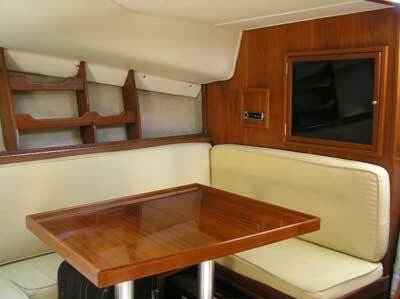 The Topaz has been and still is a reference design for serious fishing charter boats. Its simple lines allow him good performance, with a cruising speed of up to 20 knots, and maneuverability. 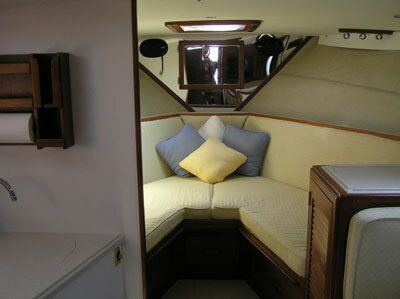 The onboard equipment and accommodation are simple but sufficient, and the crew is very experienced. Should you decide to go fishing on a day charter basis or for a multiple day liveaboard fishing charter, you will find this boat a particularly good choice. 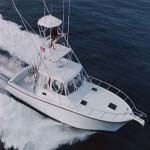 This boat is equipped with a wide selection of rods, reels and lures. Please enquire for a full list.